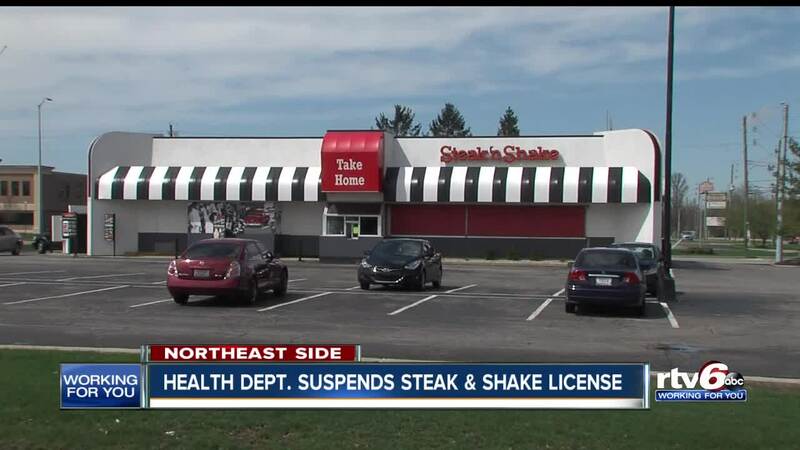 Health Department suspends Indianapolis Steak &amp; Shake license. INDIANAPOLIS — RTV6 achieved some answers from the health department after you might have seen some disturbing images floating around social media. The images showed conditions inside the Steak 'n Shake near 71st Street and Binford Street, on the northeast side. The health department says the restaurant's license has been suspended because of "significant pest and sanitation issues." The Steak 'n Shake can not reopen until it passes another health inspection.